Strange things are happening in Mystic Falls. The dead aren’t staying dead and no one in town knows who is behind it. Vampires, werewolves, witches, anyone connected with the supernatural world is being brought back to life by the Black Moon coven to join the fight in an attempt to thwart Esther’s plans of destroying all vampires through the simple act of killing her own children. The two Mikaelson children who both died at a young age, Godric and Henrik, have also been brought back to life as vampires to stop their mother from doing the unthinkable while for Alaric Saltzman, The Darkness within him has been extinguished and he has been left to deal with the fallout from his evil counterpart's actions and his failed attempt to kill Esther. While their intentions are good, the Black Moon coven remain unaware that their actions have consequences. For each person they brought back to life, and even for Alaric, a doppelganger has been created, the true opposite of their original counterpart and they are all converging in Mystic Falls for what is going to be an epic battle. Add to that the fact that another pack of hybrids has come to town looking for answers, it’s time for you to decide which side you will be on - will you help the Black Moon coven stop Esther, or will you join those trying to take down the coven to stop any more doppelgangers from being created? 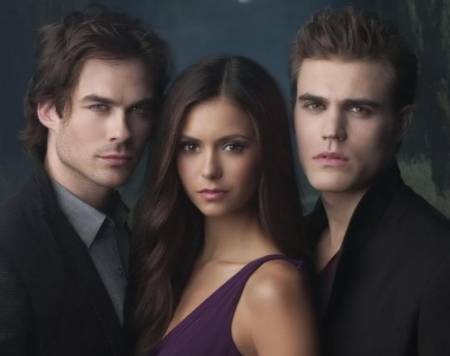 It is no longer a fight between good and evil, the residents of Mystic Falls are fighting for survival. Hearts and Hybrids is an AU site currently following the events of season three but Elena and her friends have now moved on to attend Whitmore college where the Black Moon Coven are among the student body so their identities might not remain secret for long.